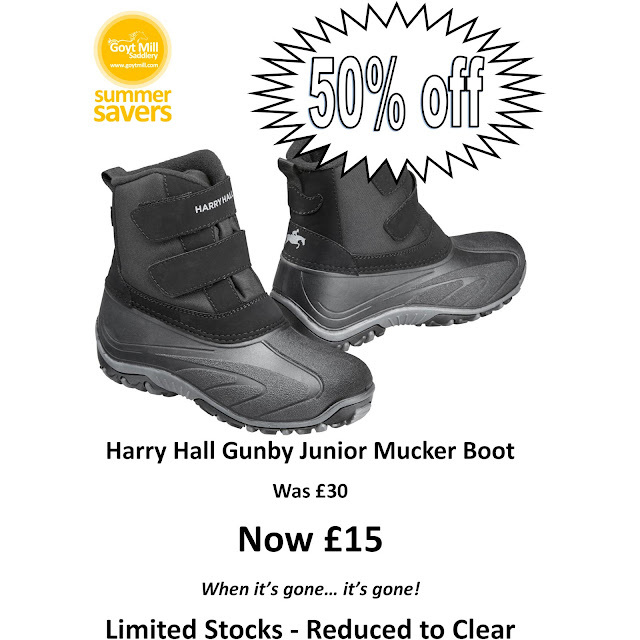 The Harry Hall Gunby Junior Mucker Boot is a waterproof, short rubber muck boot with a fleece lining. The deep heel, hardwearing moulded sole and velcro strap fastening make these boots a practical choice for everyday yard duties. PLEASE NOTE: This boot is approx 2 sizes smaller than listed.